After Tanushree Dutta became the flag-bearer of the #MeToo movement in India, a lot of actors started sharing their stories of harassment in the industry. A global superstar, Priyanka Chopra Jonas too opened about a similar incident. The Quantico actress was invited to speak at the 10th Annual Women In The World Summit 2019, where she shared the stage with Tina Brown for an interview and also spoke about her grand wedding with Nick Jonas and Indian actors in Hollywood. Priyanka Chopra appreciated that more and more women are now speaking about their ordeal. When asked by Tina Brown if she too had faced sexual harassment, PeeCee said, "Everybody in this room has probably faced one because it had become a norm with women. Now because of the support we are giving each other, people don't have the power to shut us down," she said at the summit. Priyanka further told Tina Brown, "We always had a voice. Just nobody heard us. Now because of the support we are giving each other, nobody can shut us down. And that's an incredibly powerful thing to see. Now if I have a story I don't feel I am alone anymore - and I am not ashamed of it." On the work front, Priyanka Chopra Jonas will next be seen in the film The Sky Is Pink, along with Farhan Akhtar and Zaira Wasim. 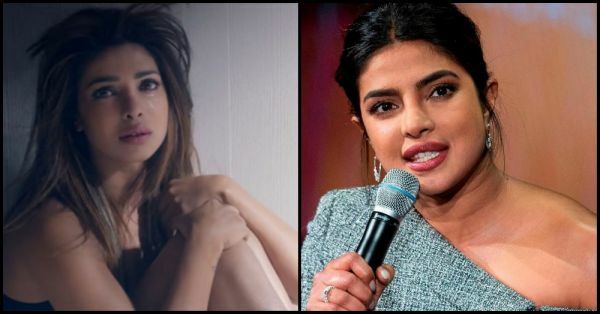 PeeCee will also be collaborating with Hollywood actress Mindy Kaling for a wedding comedy movie. 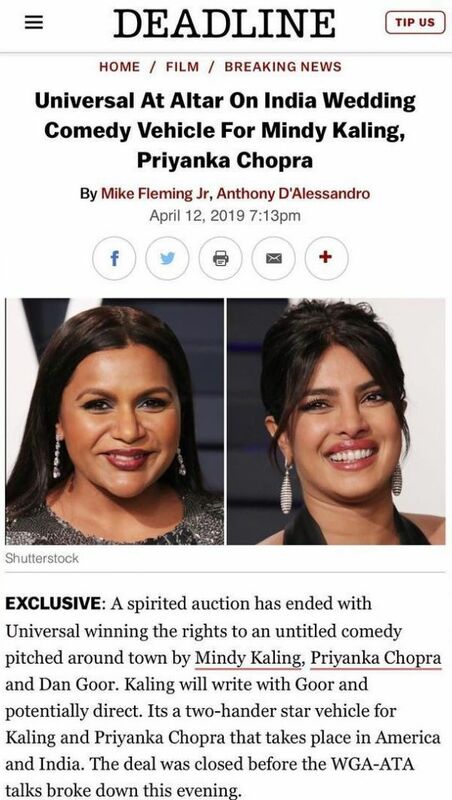 Priyanka took to Twitter to share a picture with producer Dan Goor and Mindy Kaling and wrote, "Two women with a passion for telling good stories, just got the green light to THEIR story THEIR way. So proud of this incredible partnership with Mindy Kaling and Dan Goor! We are about to show you what it means to be modern, global, and Indian. See you at the cinema!" The film revolves around a big wedding in India and the ensuing cultural clashes.